This is some classic literature, man. I need to read it every so often just to keep me grounded. It’s been a slow reading year and I really got bogged down on this. Not because of the content or anything, just because I’m kind of busy and distracted. 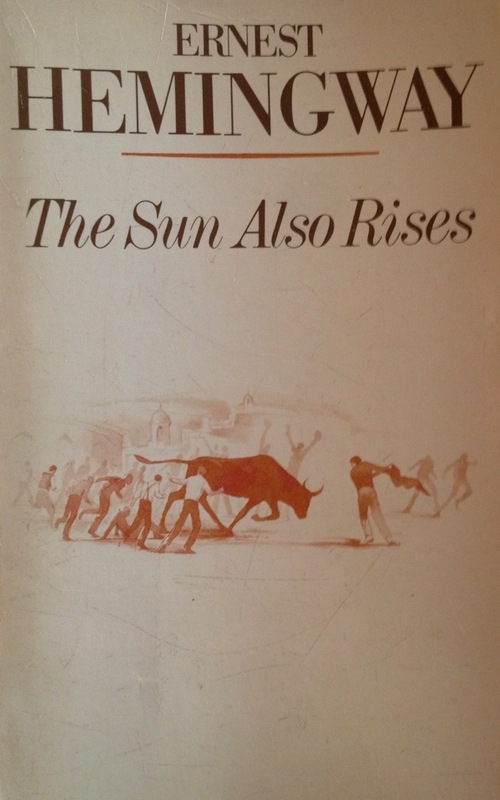 It’s a story about a group of Americans and Brits in Europe taking some time away in Pamplona to watch the bull fights. It’s a mish mash of rich kids, artists, bohemians, and a working writer (the main character, Jake) just watching bull fights, drinking, and partying during an annual festival. They fight, they talk, they sort through their emotions, stuff like that. I could sense the love story between Jake and the woman, and that they could never be together because of his war wound, but I didn’t get clued in until the very end on what the wound was or why there was all the tension. Then after, when I researched things, it really made sense. That makes me question how I read classic literature, the question being should I read the background and plot notes before I read the work? Sure, it would ruin the ending, but it may make the act of reading the book a deeper experience. What I really need are reading partners to discuss it with as I read it, kind of like school. Women made swell friends. Awfully swell. In the first place, you had to be in love with a woman to have a basis of friendship. I had been having Brett for a friend. I had not been thinking about her side of it. I had been getting something for nothing. That only delayed the presentation of the bill. The bill always came. That was one of the swell things you could count on. I thought I had paid for everything. Not like the woman pays and pays and pays. No idea of retribution or punishment. Just exchange of values. You gave up something and got something else. Or you worked for something. You paid some way for everything that was any good. I paid my way into enough things that I liked, so that I had a good time. Either you paid by learning about them, or by experience, or by taking chances, or by money. Enjoying living was learning to get your money’s worth. The world was a good place to buy in. It seemed like a fine philosophy. In five years, I thought, it will seem just as silly as all the other fine philosophies I’ve had. Perhaps that wasn’t true, though. Perhaps as you went along you did learn something. I did not care what it was all about. All I wanted to know was how to live in it. Maybe if you found out how to live in it you learned from that what it was all about. I’ve never read any Hemingway and I’m woefully unfamiliar with him, despite the fact that I live about 9 miles from his boyhood home in Oak Park (I will visit soon, by the way). But this passage seems to represent a lot about how I think of him – that he was just trying to figure out how to be happy and have fun, but at the same time to be good and upstanding.